In recent days, two compelling cases have surfaced of so-called “regrettable substitutions” – industry responding to concerns about the use of one dangerous chemical by replacing it with another that is less well-studied, or at least not currently in the crosshairs. Case 1: Chinese manufacturers of children’s jewelry, responding to concerns and restrictions on the use of lead in such products produced for export to the U.S., have replaced it with cadmium, a known human carcinogen and developmental toxicant that, if anything is even more toxic to kids than lead – but is not subject to any restrictions in such kids’ products. Case 2: American food product manufacturers, responding to concerns about the devastating effects on the lungs of workers exposed to diacetyl – an artificial butter flavoring used in many products, most notably microwave popcorn – have begun to replace it with closely related chemicals likely to break down into diacetyl or otherwise have similar effects. Are we destined forever to play this dangerous variant on the game of whack-a-mole, or can something be done? An interesting side-note to both cases: Journalists have played the major role in exposing these debacles. In case 1, it was not our government, but rather Justin Pritchard at the Associated Press, that brought the lead-to-cadmium bait-and-switch to light. AP commissioned its own product testing, testing 103 items – charm bracelets, pendants and the like — bought in New York, Ohio, Texas and California in November or December 2009. It found that 12 percent of the items contained at least 10 percent cadmium, with the highest containing 91 percent! Isn’t it obvious that such substitutions should be avoided? One might think that the chemicals considered as substitutes for a known danger would get scrutinized a little more closely than usual, in order to avoid repeating unwanted history. But a combination of incomplete or inadequate regulations, resource-strapped government agencies and entrenched political resistance to market intervention work to perpetuate a lethally flawed system of chemicals management in this country. From a scientific standpoint, avoiding the use of any toxic metal in making kids’ products would seem to be a no-brainer. The AP story points out that virtually nontoxic zinc is a suitable substitute metal for use in children’s jewelry. But this case apparently was driven down the path of least resistance: Cadmium has been used domestically in China for kids’ jewelry and related products for many years, which likely explains the rapid transition to using it for exports in the face of newly-enacted U.S. restrictions on lead. 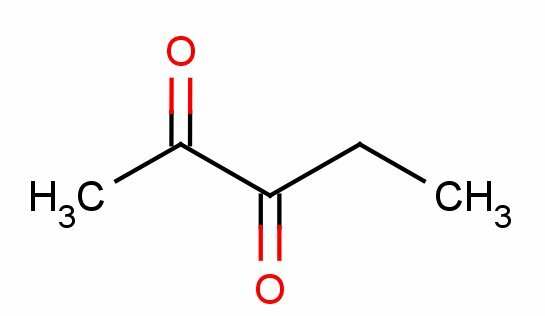 The diacetyl case is equally hard to fathom from a purely logical – dare I say naïve? – standpoint. Inhalation of diacetyl leads to a wholly debilitative lung condition whose name speaks for itself: obliterative bronchiolitis. Previously known to affect workers exposed to certain types of fumes in heavy industry, its association with diacetyl in butter flavorings began to be recognized only in 2000, when the first cases of what is now known as “popcorn workers lung” were identified at a microwave popcorn plant in Missouri. 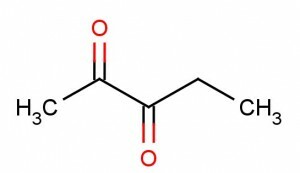 First thought to be confined to industrial workers (albeit in the food industry), cases of this disease traced to diacetyl exposure have now been found in service industry workers and even in an individual consumer who reportedly ate two bags of microwave popcorn a day and enjoyed inhaling their aroma (who doesn’t?). Andrew Schneider reports on the case of a Blockbuster Video employee who contracted the condition after microwaving many bags of popcorn on a nightly basis to fill the old-fashioned popcorn machine in the store. She is the third known case among of non-factory workers. In response to the horrible publicity surrounding diacetyl, a number of major food companies – General Mills and ConAgra (owner of Orville Redenbacher’s) among them – announced they would no longer use it. This chemical is named 2,3-pentanedione. As you can see, even if you’re not a chemist, the only difference is the addition of a single carbon atom, from a total of four (to which the “buta”prefix refers) to five (to which the “penta” prefix refers). You also don’t have to be a toxicologist to have the following thought pop into your head faster than you could make a bag of microwave popcorn: If these chemicals look so similar, might not they affect people’s lungs in a similar manner? And might not a company want to thoroughly test the second chemical before claiming it to be a safe replacement for diacetyl? This past November, NIOSH did an inspection of a General Mills “bakery mix production facility” located in Los Angeles. In the resulting inspection report, termed a Health Hazard Evaluation, NIOSH reported that the company had replaced most, but not all, diacetyl-containing flavorings with ones containing 2,3-pentanedione. Detectable levels of this chemical were found in the air in the plant and could be measured especially where workers bagged the powdered bakery mixes. NIOSH also reported that a number of plant workers exhibited respiratory symptoms while at work. And lung function tests performed by NIOSH found “higher than expected” evidence and incidence of respiratory problems, compared to the U.S. adult population; for example, 18% of the workers had “restrictive patterns” indicative of possible lung disease. None of the workers exhibited popcorn worker lung-like symptoms, however. None of this proves 2,3-pentanedione is risky, of course. But it certainly begs the question. The toxicology of diacetyl substitutes is only now being studied. 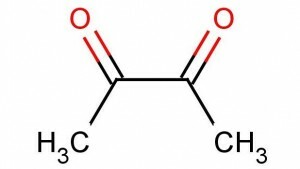 Because 2,3-pentanedione, 2,3-hexanedione, and 2,3-heptanedione all share the same functional alpha-diketone group as diacetyl, these compounds may also share diacetyl’s mechanism of toxicity. 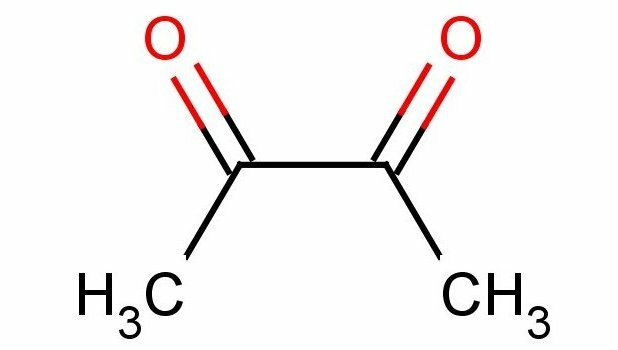 In other words, the operative presumption should be that 2,3-pentanedione and related chemicals affect people the same way diacetyl does. Yet these chemicals continue to be used as substitutes for diacetyl. What can be done to avoid “regrettable substitutions”? The two examples above may strike you as no-brainers, but there are many more cases that are not so obvious or where there aren’t such clear red flags. I can sympathize with companies caught unawares when a chemical they use crashes onto the radar screen. Nor is it hard for me to imagine they might leap at the first available alternative that is identified, based on nothing more than the fact that it is not, at least technically, the chemical of concern. But these impulses can be downright dangerous in the context of our current policy and regulatory climate that has allowed most chemicals in or entering commerce to escape adequate testing or safety assessment. That failing makes it all the more likely that a chemical chosen as a substitute for a known bad actor is either no better or untested and unstudied. As readers of this blog know, the poster child for this failed policy is the 1976 Toxic Substances Control Act (TSCA). TSCA “grandfathered in” the more than 60,000 chemicals on the market at the time, without requiring any testing or demonstration of their safety. Measured by tonnage, the vast majority of chemicals on the market today – 34 years later – is comprised of those same chemicals. What changes to TSCA could lessen the likelihood of further regrettable substitutions? Here are a few suggestions, each of which is a featured plank in the platform of the Safer Chemicals, Healthy Families campaign with which EDF is closely working. First, we simply must bite the bullet and start the process of digging ourselves out of the hole created by TSCA. While it will require considerable time and expense, TSCA reform must include a requirement that all chemicals be shown to be safe as a condition to enter or remain on the market, based on robust information developed on the uses, hazards of and exposures to those chemicals. Some, especially in the chemical industry, would have us skip this altogether. As I noted in previous posts (here and here), they suggest we simply identify the usual top suspects, maybe require further testing and study of them, and then maybe even regulate a handful of those – and be done with it. Their estimates of how many chemicals might “rise to the top” range from “50-100” (subscription required) to “5%” of chemicals in use today. As I’ve argued before, there’s an inherent contradiction here. The chemical industry is among the first to cry “regrettable substitution” when insufficient attention is given to what will replace a chemical targeted by state or federal authorities for restrictions. But how are we ever to compare alternatives and select safer ones with confidence unless we have good information about them? Companies and institutions that use chemicals to make products, or that sell, buy or use those products, as well as individual consumers, make decisions involving chemical choices every day. Those choices are often ill-informed today, based on assumption instead of data, or incomplete or biased information. Companies need to know what chemicals are in the products they’re making, buying, selling or using, what is known about those chemicals’ hazards, and what the potential alternatives to such chemicals are. They also need to know when government has identified a chemical to be of concern and is considering initiating regulatory action. Only by requiring the development and broad sharing of sound and complete information about chemicals can we hope to address what amounts to a major market failure perpetuated by our current chemicals policies. programs to incentivize and reward those companies that do develop and implement safer alternatives. This entry was posted in Health Science and tagged carcinogen, chemical identity, children's safety, consumer products, exposure and hazard, inhalation, lead, National Institute for Occupational Safety and Health (NIOSH), Occupational Safety and Health Administration (OSHA), risk assessment, Safer Chemicals Healthy Families, worker safety. Bookmark the permalink. Both comments and trackbacks are currently closed. I believe the “diacetyl trimmer” in the original Sphere article was a typo and should instead be diacetyl trimer (CASRN: 18114-49-3). Unfortunately this apparent typo has been widely reproduced on the internet. We still don’t know the extent of substitution with diacetyl trimer nor how readily it degrades to diacetyl. If there is a “diacetyl trimmer” I’d like to know it’s true ID. Scott: Thanks very much for bringing this to my attention. I have inserted a clarification into this post to alert readers to this information.